The dhoti made from 100% PURE COTTON and It is Power loomed. 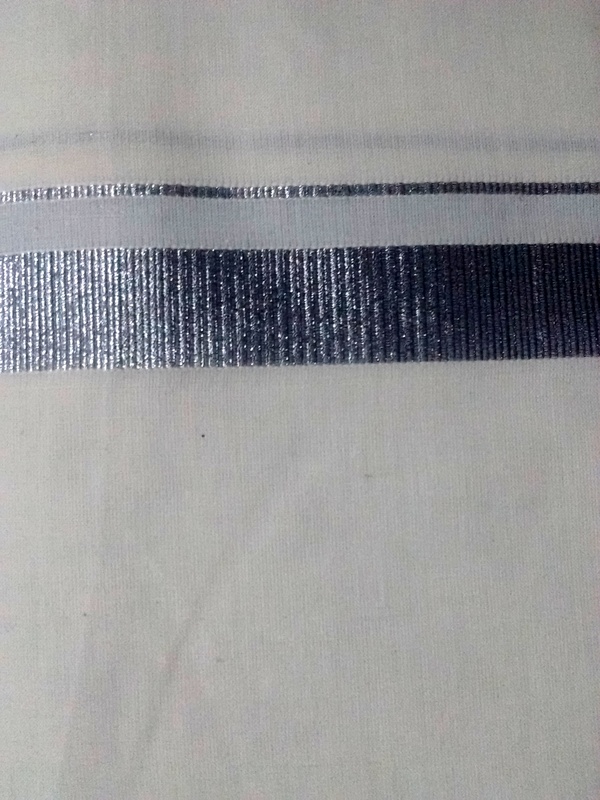 Size of the Zari is one inch width. 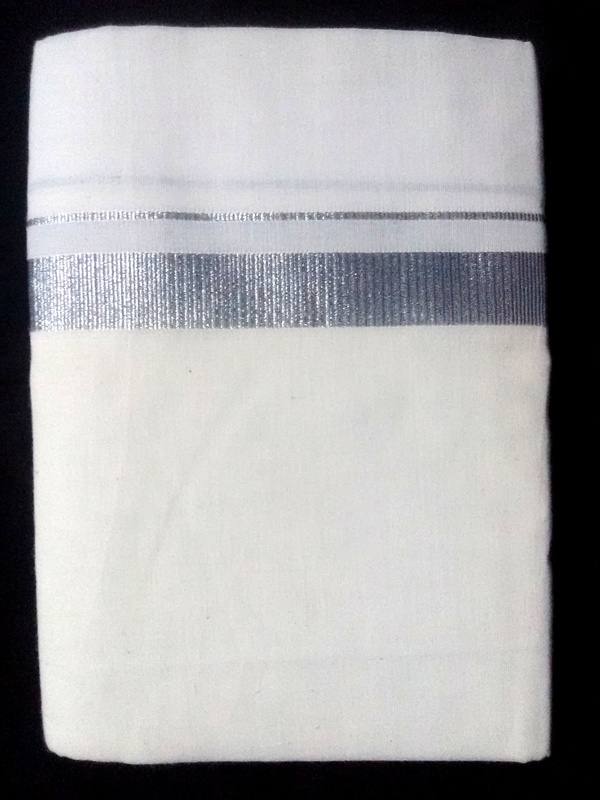 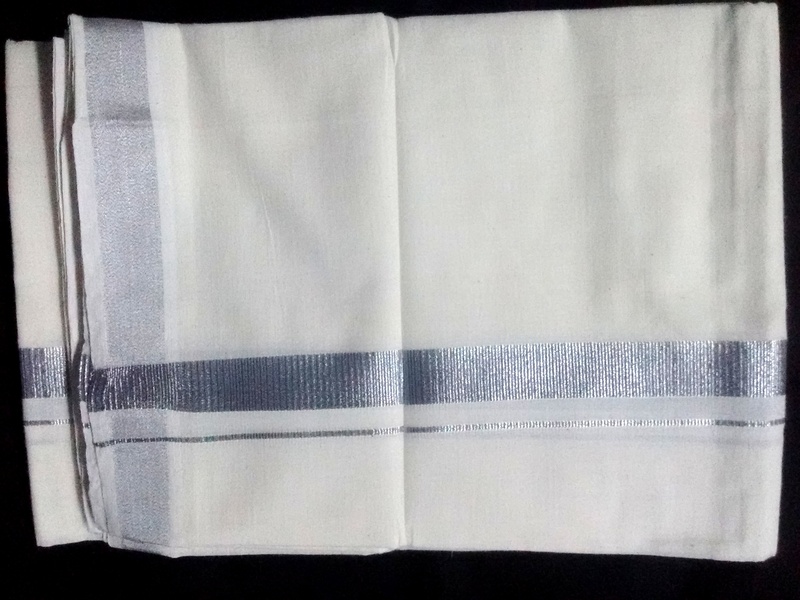 End of the Dhoti is filled with Silver Zari.